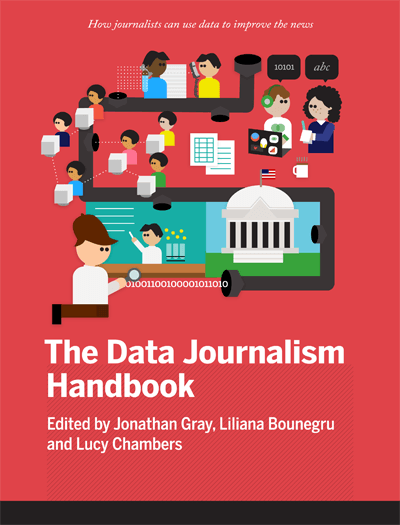 Open Knowledge Greek Chapter, together with stackprime members contribute on the Greek translation of The Data Journalism Handbook. The original version was born at a 48 hour workshop at MozFest 2011 in London. It subsequently spilled over into an international, collaborative effort involving dozens of data journalism’s leading advocates and best practitioners – including from the Australian Broadcasting Corporation, the BBC, the Chicago Tribune, Deutsche Welle, the Guardian, the Financial Times, Helsingin Sanomat, La Nacion, the New York Times, ProPublica, the Washington Post, the Texas Tribune, Verdens Gang, Wales Online, Zeit Online and many others. This is a handbook. It is in the name itself. It is a handbook for journalists who want to be journalists for the rest of their career. Journalists who are not willing to adapt for the new era of data journalism should probably start looking for some other career.